It is now time for Link A Finish Friday. Today I would like to start with a big thank you to Fat Quarter Shop who has offered to Sponsor our Link A Finish Friday with Prizes. This month's winner (June) will win a $15 gift certificate to spend at Fat Quarter Shop. 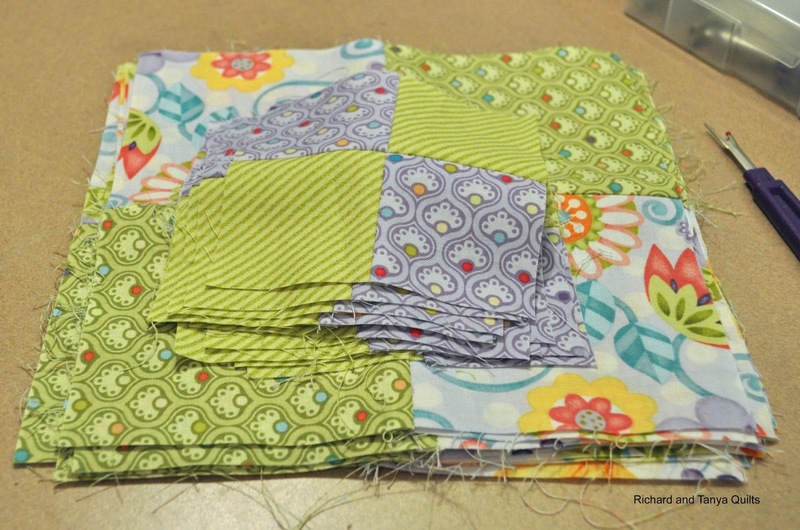 Vacation is over and we are back to work quilting, its amazing how much a slacker I feel when I don't quilt at least one thing in a week. Last night I finished this top and wanted to show it off. Then as promised I will show off many projects from others over the last 2 weeks as I did not show off any last week. 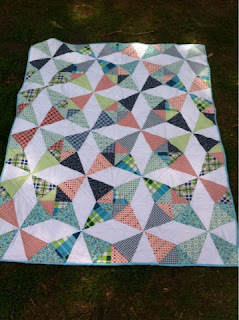 This is the first quilt pattern that is created by Tanya and will be listed in Craftsy. 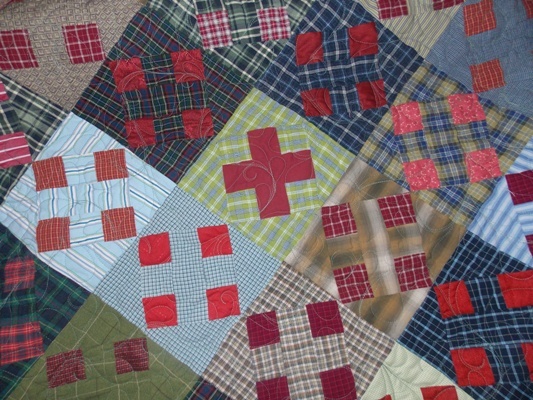 This quilt is based off Train Wrek my very first pieced quilt I ever made. 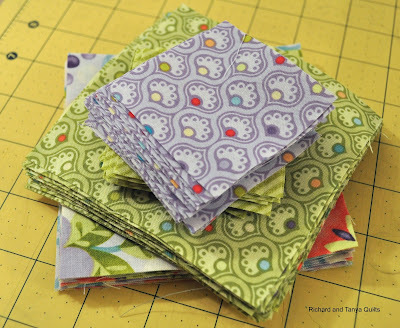 Tanya has called it her Windows quilt as the little boxes are looking out of windows. Now for the stars of this week these are some of the quilts I enjoyed over the last 2 weeks. 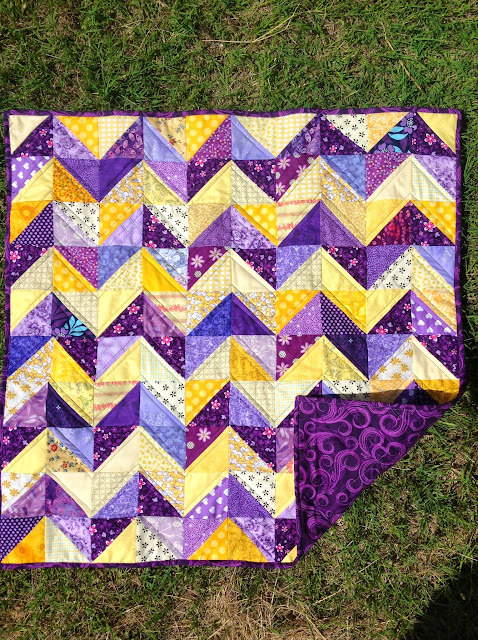 While taking a short break during vacation last week, Tanya created a new pattern for one of our first quilts Train Wrek if you have not ever seen that quilt before it is a real winner or well loser. 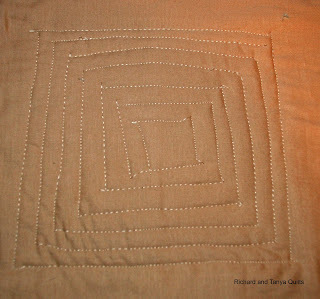 This is the point in quilting that I learned that you needed a pattern or at least a real plan before you just started. So with Tanya's real plan, I started with the pile above and then cut it up. Once you get things chopped up there is a intense desire to sew it all back together. So yes you can guess that I had to do such. The small blocks on top still need a strip around it to make it the size of the bigger block. But it is at least a good chuck along towards a quilt top. Tanya has a pile of 5 quilts that needs quilting. I seem to not be quilting them fast enough for her, so she used my machine the other day (The day before I broke my needle). She was doing this while I was looking at vacation pictures. Originally her plan was to echo quilt the top blocks, but she decided that after a few rows were done she did not like it, so she changed her plan and unpicked all of the rows she had quilted. This is one of those big differences between our quilting styles. 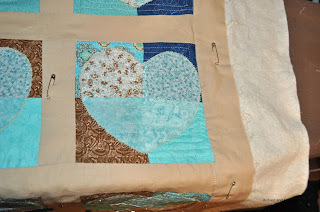 These first 2 pictures are of the back of the quilt. 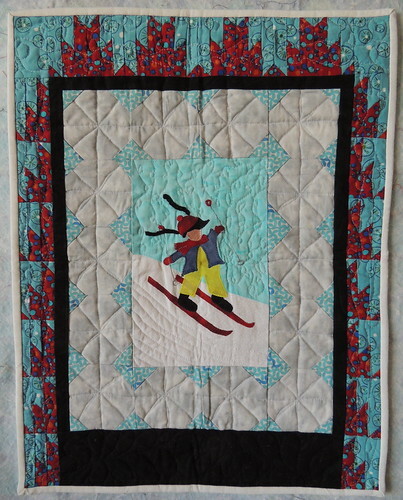 This quilt is again a flash back to our past. We have not yet made a quilt for our own bed yet. These blocks were the original plan. It is funny looking up the post about this heart block I wrote it as the 21 post I ever wrote over 1 1/2 years ago. 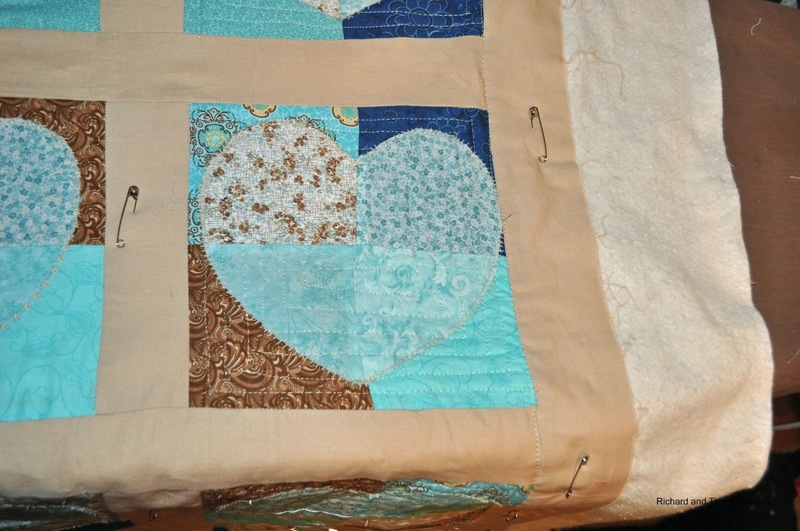 It is sad it has taken that long to get these hearts into a quilt. We gave up on these being made up into a quilt for our bed, it will now be 2 or so baby quilts. 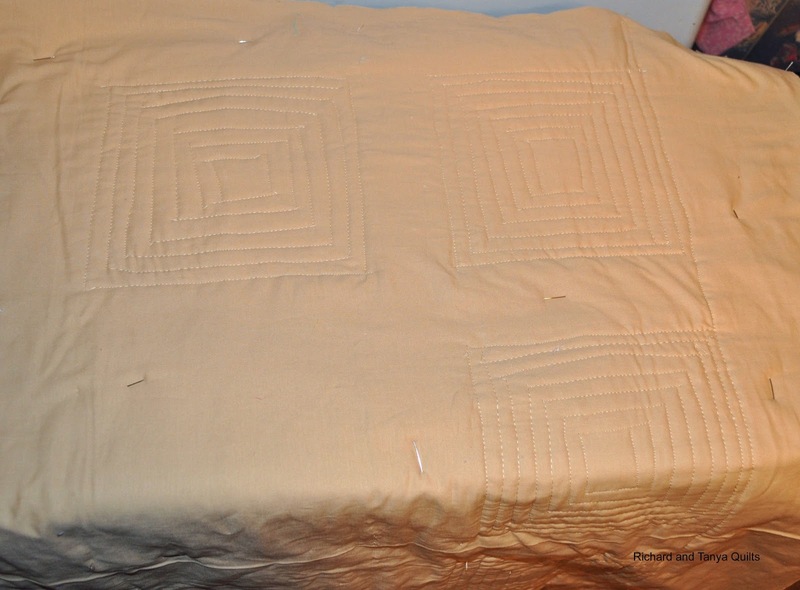 Lucky for me, Tanya has decided to practice her quilting on it, which means I won't have to do all of the quilting. I think its that pile of 5 quilts that are getting to her. I have found its more fun to start a quilt then to finish one, ha ha. For those interested in a blast from the past I also had some fun getting rid of the scraps from making this quit block. 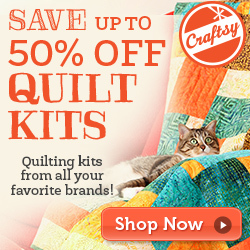 I was happy to see that on Craftsy I am trending today. I wish I could figure out what makes one trend and what makes it go up and down? I guess for now I will just have to be curious. For any one that is interested I will give away either of these 2 patterns by just going to Craftsy and comment on either of the patterns and then come back here and let me know and I will email them too you. And just in case any of you missed it last week me and the family went to Yellowstone. It was a grand adventure and I took in excess of 2500 pictures. Yes I know a little over kill and I will end up deleting a pile of them but we had a great time. I think I like animal watching as much as I like looking at the geysers and or the scenery. This is the 4th trip to Yellowstone that Tanya and I have been on and we were excited for the first time outside of the cages in west Yellowstone we saw a bear roaming the park this one was found up near tower falls in NE Yellowstone we also saw one (but the pictures sucked) on the central west side near Madison. I feel worn out after vacation and my first day back to work was hard today. After a week of fun I really did not want to work. 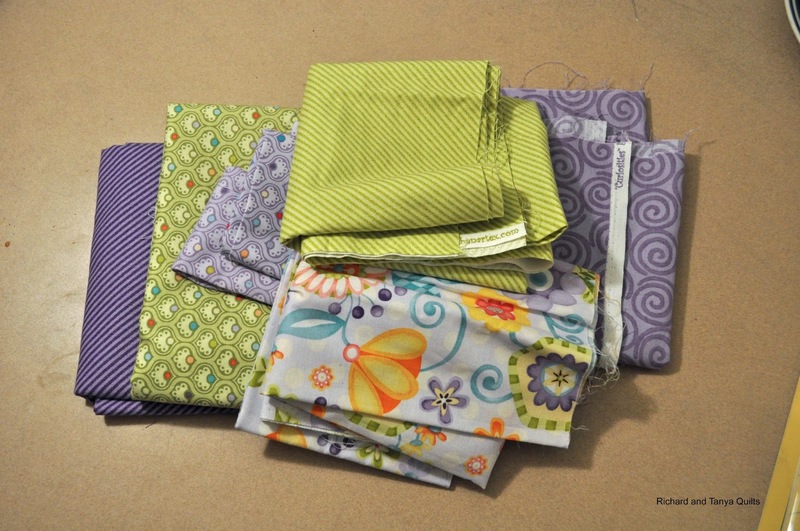 After work I sat down and started looking at the pile of 6 quilts Tanya has basted for me and was going to quilt one. I was getting ready to sew when I some how snapped my needle off and broke it. I cant believe it I was out. And while I am too tired (and lazy) to go buy one so just sat in the chair and watched TV. Sigh I don't know how to gain motivation. I guess I will buy some needles after work and try again another day. Vacation this week so unable to put up some pictures from last week. I will make up for it next week. See yesterdays post for more pictures if interested. 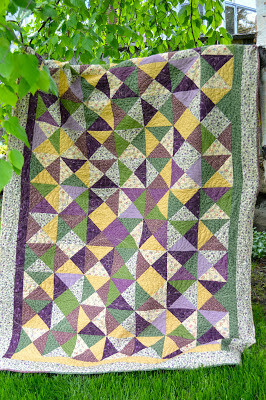 Here is the diagonal strip quilt that was finished recently. Tanya and I are on vacation this week so you get pictures but not much else today. I wish I had more time to talk about this quilt as I love it. I will be making a pattern out of this that can be done scrappy style or strip stile like this. Some pictures of the back. This earth tone quilt looks so much better in person that what the pictures show. 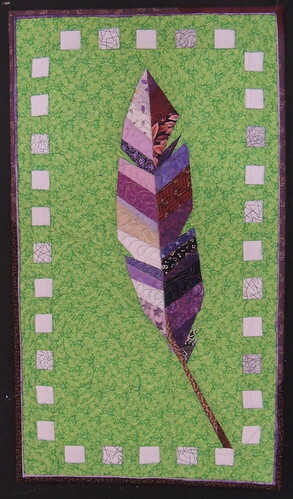 The fabric for this quilt is really interesting it is Natural Instincts by McKenna Ryan a Hoffman Fabrics Line. It was densely quilted in horizontal lines that seem to add a lot more texture. The back is made with leftovers. It might be hard to decide which side is the front. It is bound with brown, but because of the gradient colors, it looks like a scrappy binding. It has been added to our etsy shop. There is a table top version coming soon. 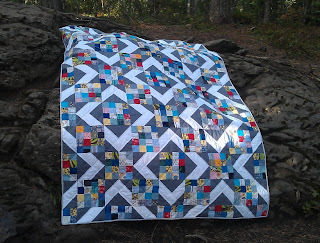 Today I am going to start with the quilt top that Tanya finished this week. 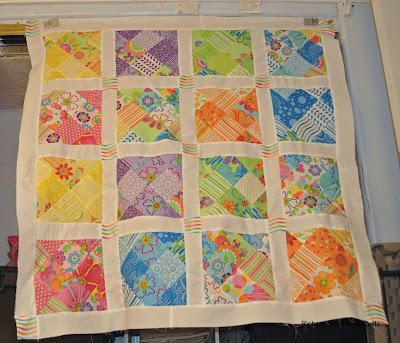 This quilt top is made using my Color Blast Pattern She made a rainbow like quilt and I think it looks fantastic. Heather is our winner and she has been emailed. Since I have not given any thing use full to the rest of you I want to offer you a free class on Craftsy. If you would not like a class but rather a pattern of mine off Craftsy just click this link here and pick a pattern you like from the list and comment here and I will send it too you. If you want to leave a comment on the pattern I would love that too. 1) Craftsy Block of the Month 2013 with Laura Nownes - As a new quilter I suggest this class. It will give you some great hints and suggestions on block construction throughout the whole year. 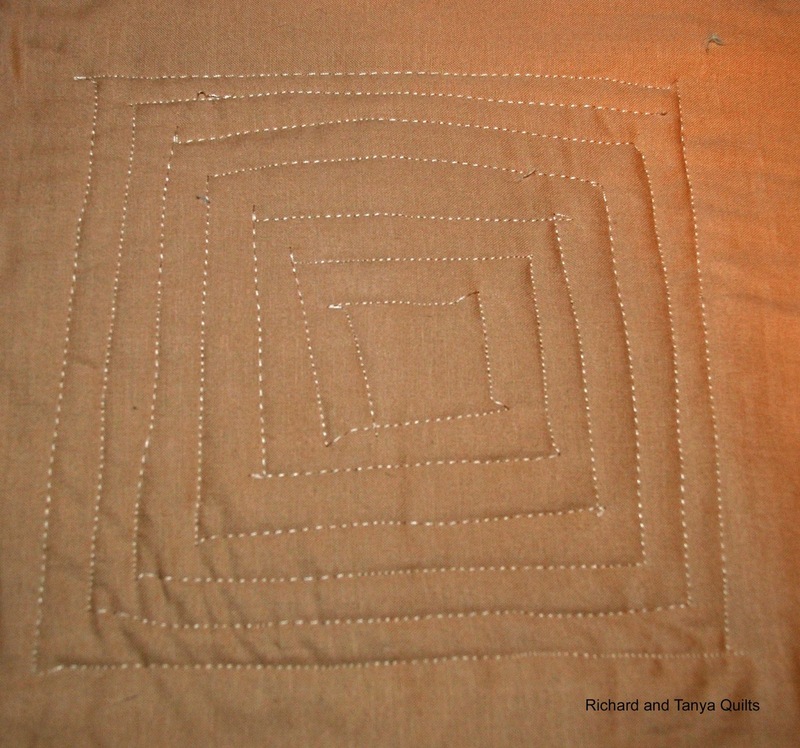 2) QuiltCon Lecture Series 2013 - I am a member of the Salt Lake Modern Quilt Guild and as such was sad that I was not able to go to QuiltCon. So at my request (OK, well maybe it had nothing to do with me) they were kind enough to put together a lecture series so that I did not have to completely miss out on the experience. 3) Creative Quilt Backs with Elizabeth Hartman - Back in May, HMQS was held here in Salt Lake City, Utah. SLMQG was lucky enough to get Elizabeth Hartman to come talk to our guild as a guest speaker. I was excited I got to meet her and learn directly from her. For the rest of you, you can enjoy this free class.